If you are looking for the best quality Fox storm doors and Trapp storm doors on the market then come check out our beautiful showroom at Home, Door and Window Products. We have been the top leaders in the storm door industry for over 3 decades because we provide our customers with high-quality, durable storm doors and excellent customer service. Home and Door’s goal is to make sure our customers are 100% satisfied with their Fox storm doors or Trapp storm doors. We only sell the best security storms doors at Home and Door, and they all have excellent craftsmanship. 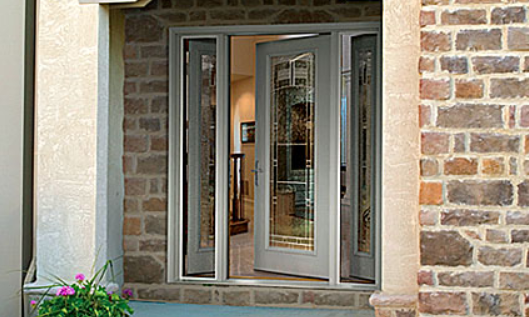 You can be confident that you are receiving the newest innovative storm doors on the market. Macomb, Michigan is a northern suburb of the metropolitan Detroit area and is located in Macomb County with a population of 50,477. Getting a new security storm door offers energy efficiency as well as security to your Macomb home. We are consistently a top choice retailer because of our vast selection of Fox storm doors and Trapp storm doors. Home and Door can customize any door we have to fit the unique style of your home. Come by our showroom at Home and Door located in Berkley, Michigan and see all the beautiful storm doors and other products we have to offer. Home and Door has been in business for over 30 years because we know how to treat our customers and we know exactly what they need. We have over 150,000 satisfied customers, and that number is growing daily. Our storm doors come in a variety of styles and finishes and we know that you will find something to compliment your home. If you have questions call the pleasant staff at Home and Door, we are more than willing to help you select the perfect security storm door for your home or business. Contact the team at Home, Door and Window Products at (248) 399-9900 and ask about our FREE consultation and estimate.